Buying an automobile is always a big financial decision—and as such, it’s only natural that consumers would approach it with due diligence. 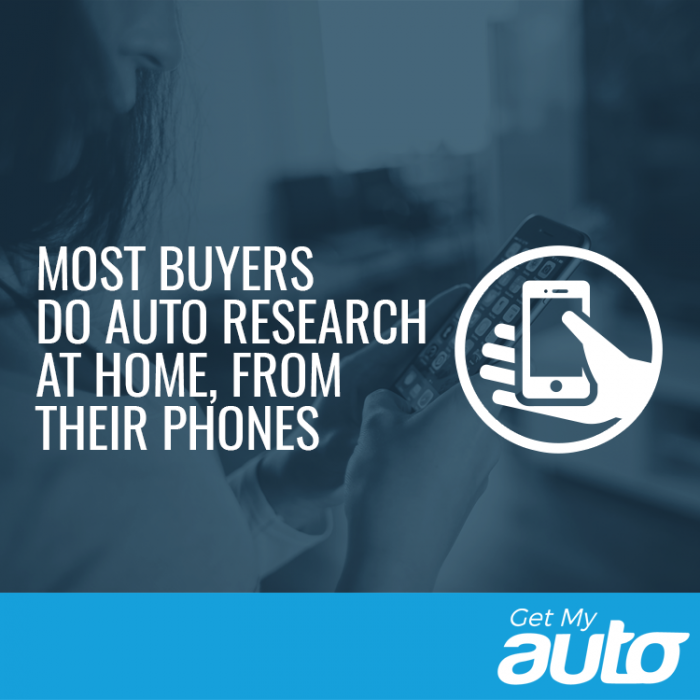 Much research goes into the auto buying decision—and now, more than ever, that research happens at home, via mobile devices. That’s the finding from a recent GroundTruth survey, which reveals that roughly 59 percent of auto buyers do their research from home—using Google, Craigslist, and other online resources. By contrast, about 17 percent do their research while at a dealership, 10 percent do it at either work or school; and 13 percent do their auto research while they’re commuting. What Does This Mean for Dealer Marketing? These are compelling statistics, to be sure—but what are the practical takeaways for dealerships? Indeed, research shows that the average buyer makes around two visits to a dealership before making a purchase—meaning that, by the time they click on an online ad, they’ve probably more or less made up their mind about what they’re going to buy, and from where. What your dealership should be aware of is that consumers are doing their homework and making their final purchasing decisions long before they actually set foot on your lot or in your showroom. To remain competitive, then, your dealership needs to be highly visible even at the top of the sales funnel, the beginning of the consumer journey. There are different ways in which dealerships can cultivate this kind of visibility. Providing educational content across a variety of platforms, including blogs, can help you cultivate brand awareness, authority, and trust—and while that may not immediately lead to a sale, it does guide the consumer further down the funnel, closer to an actual visit to your dealership. PPC and highly targeted Facebook ads can also be important ways to build brand recognition, even among consumers who are simply gathering data and have not yet made a specific purchasing decision. More than anything else, a paradigm shift in dealership marketing is needed: GeoMarketing recommends a focus on “cost per visit,” which is a good metric for evaluating dealership marketing efforts. More than clicks or anything else, actual foot traffic through your dealership is the best way to determine whether your marketing efforts are paying off. 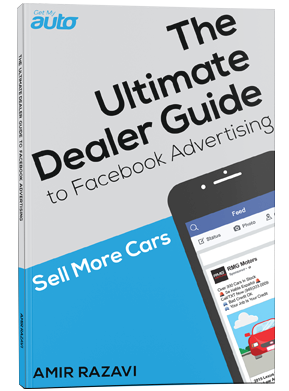 In the end, that’s what dealer marketing is all about—getting visitors into your showroom. For help achieving this goal, we invite you to contact us. Reach out to the dealership marketing experts at Get My Auto today.